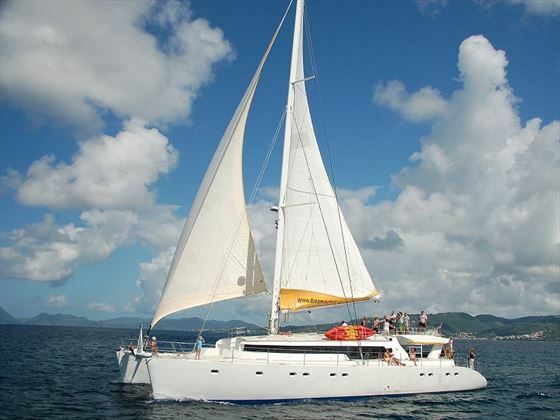 Small yet comfortable, Mojito 82 offers an intimate cruise experience amidst the Seychelles’ stunning islands and crystal clear waters. 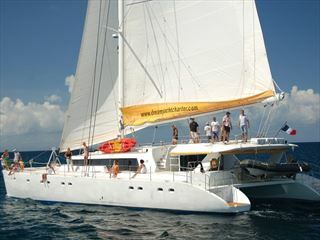 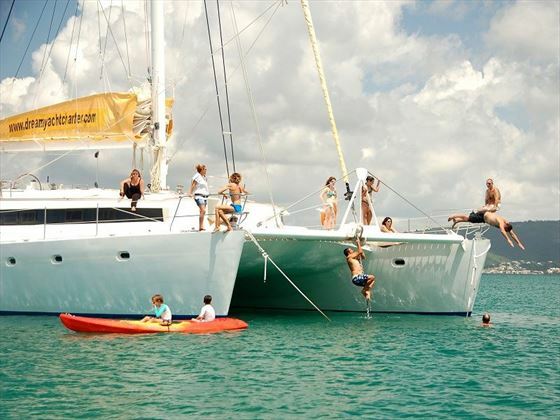 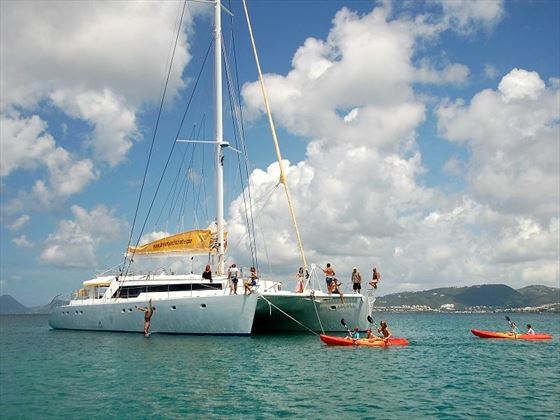 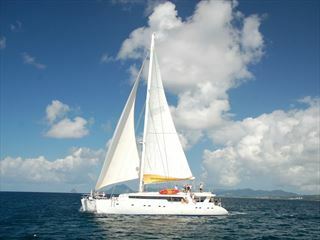 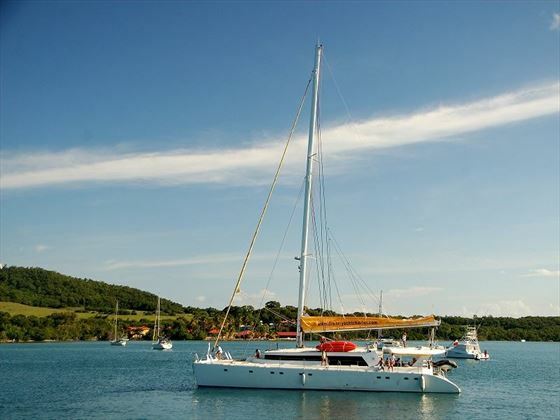 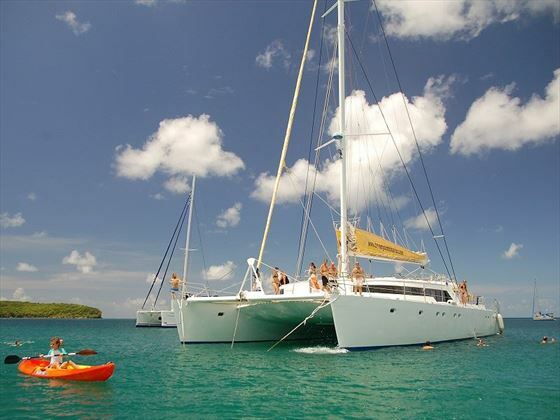 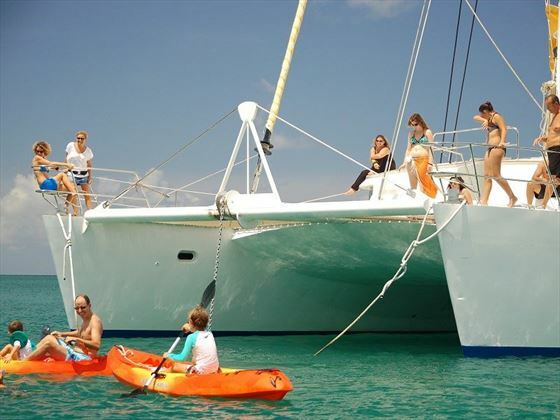 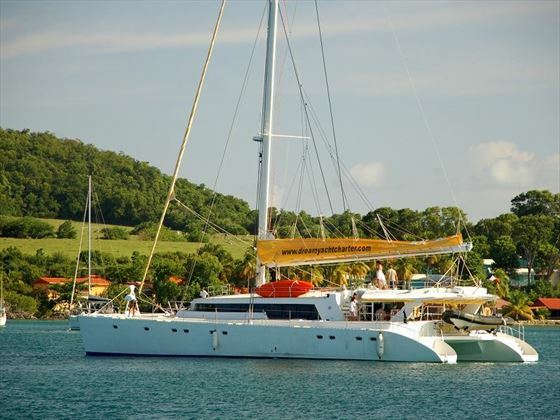 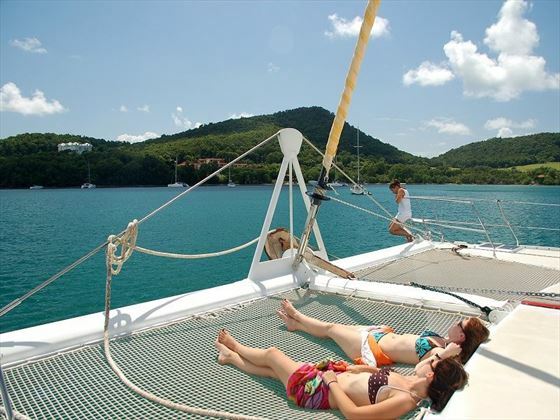 Consisting of only 12 cabins altogether, a cruise on board this picturesque catamaran will be personalised to you, including a dedicated chef who will create breakfasts, lunches and dinners completely to your taste. 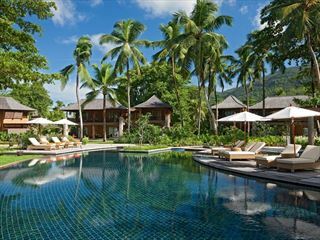 In between exploring the Seychelles’ luxuriant, tropical islands, you’ll have time to leisurely enjoy an afternoon of fishing or sea kayaking, or you could simply sit back and soak up the sunshine on the expansive sun deck. 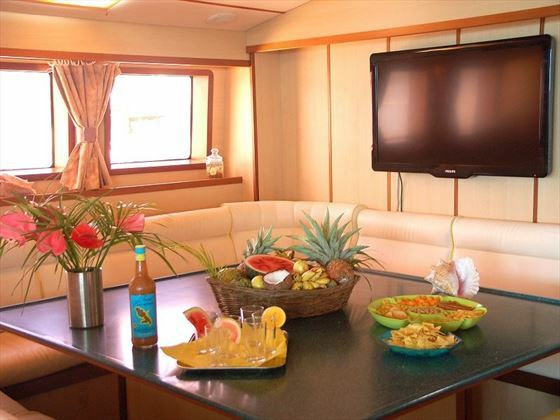 In the evenings, after a long cocktail and a romantic dinner under the stars, you can reside to your cosy cabin, fit with a double bed and a private bathroom. 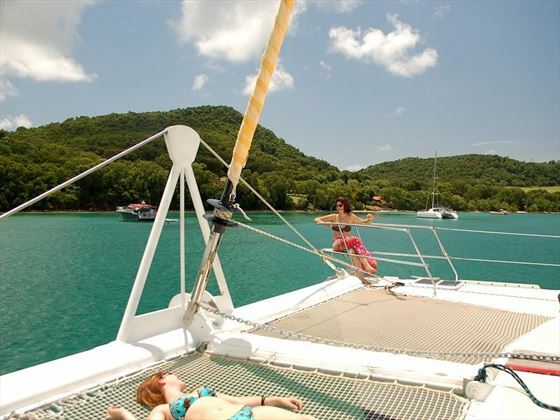 There are 12 cabins altogether, all featuring a double bed, a private bathroom, and beautiful sea views. 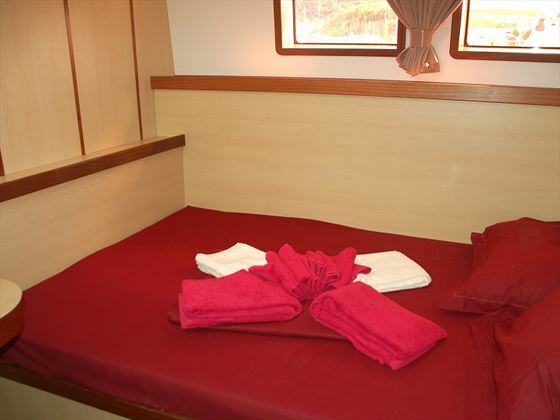 Each cabin sleeps a maximum of two guests. 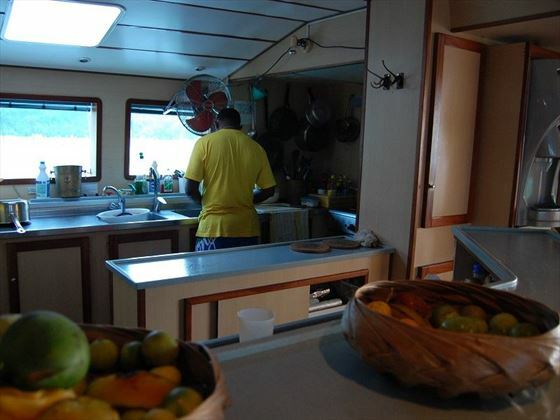 Whilst there is no restaurant, there will be a dedicated chef on board who will cater for every meal.